We really enjoyed the Byrd Concert last night - the Writtle Singers were excellent in every way and a delight to listen to. It showed just how uplifting people in the 17th C found singing in Church. The reader was also very clear and informative and it was good to connect the events of Byrd's life with the music. 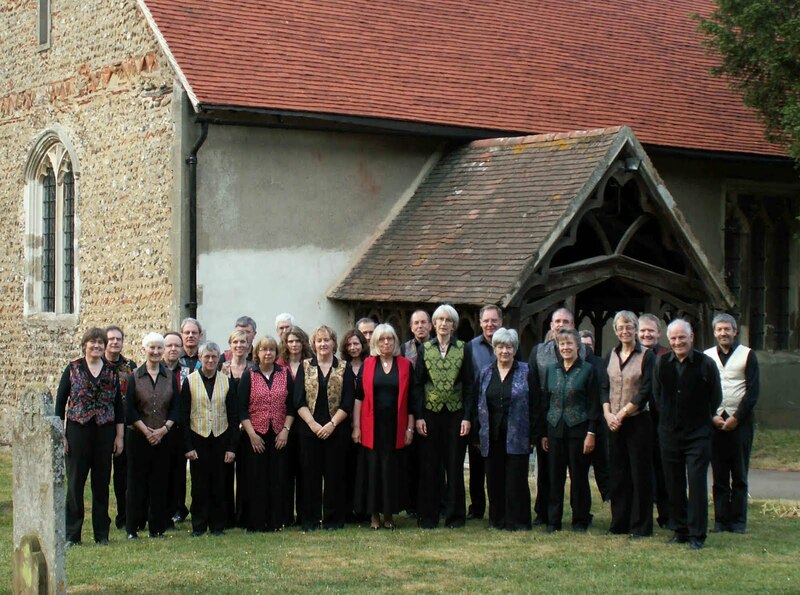 Writtle Singers were privilged to sing in Stondon Massey church yesterday as part of the Byrd festival. 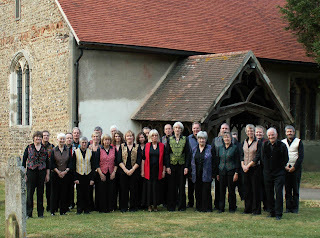 Stondon Massey’s tribute to the Elizabethan composer, William Byrd, culminated last weekend with a concert by the Writtle Singers at St Peter and St Paul Church (Saturday) and service of favourite hymns (Sunday). The William Byrd Festival was organised by members of the congregation in order to raise money in support of the building of a new Garden of Remembrance in the churchyard where Byrd is believed to have been buried in an unmarked grave in 1623. Last week one of the congregation visited the church in order to set up the space for a choir rehearsal to find affixed to the door a bunch of flowers with a request to place them on the grave of the ‘English composer’. The flowers were sent by well-wishers from ‘Tom Garrison and the Trinity Choir’ which following a little Internet research turned out to be the Episcopal Cathedral in Kansas City over in the United States of America. Festival Organiser, Andrew Smith, said, “This was a lovely surprise. We were not able to place the flowers on an unmarked grave so instead decided to arrange them on the Memorial Tablet to the great composer inside the church. Our Festival website (www.williambyrdfestival.blogspot.com) shows that William Byrd is very popular in America with over a third of the hits coming from that country. We have received goodwill messages from many and some lovely comments on the singers who appeared at the Festival”. “The William Byrd Festival has been a tremendous success, both in raising Byrd’s profile and financially. We have raised around £2000 toward the Garden of Remembrance project”.